This face moisturizer is the only one you'll ever need. 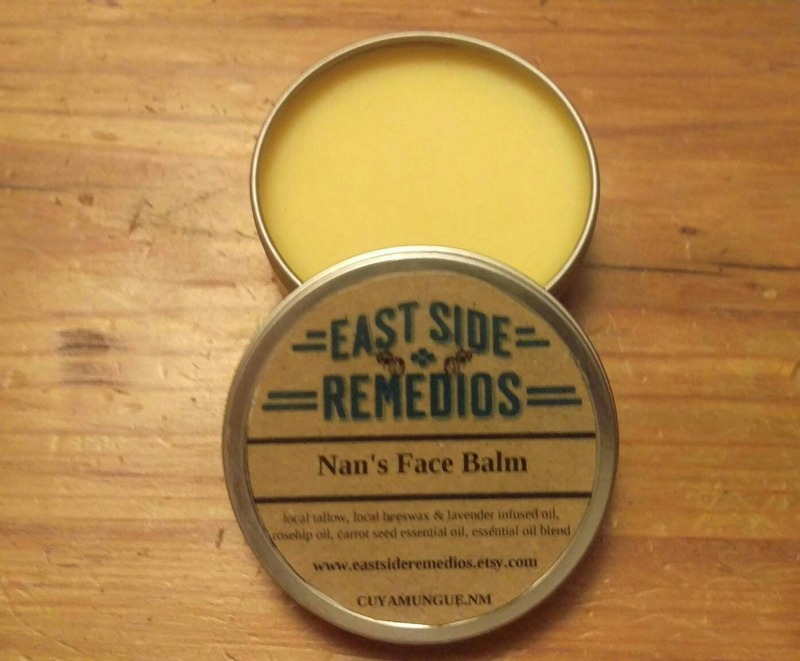 It's so great we named it after our grandmother whose beautiful skin was proof that years of using this balm worked better than anything found in a store. We use our own tallow rendered from our farm in East Texas. 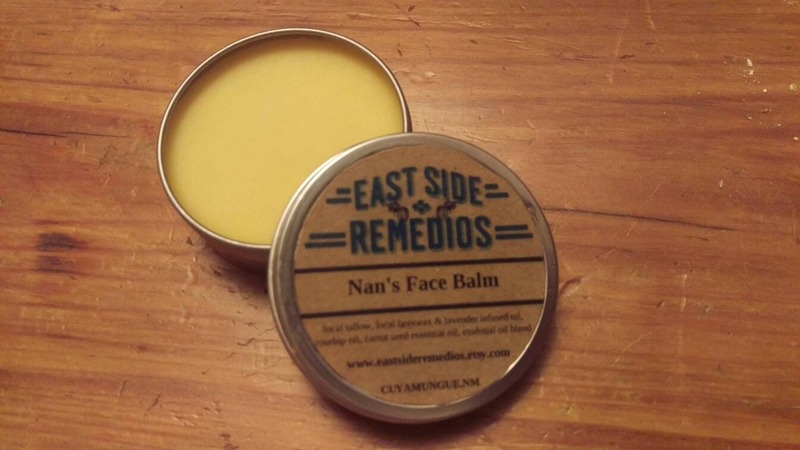 Local lavender and beeswax are added along with rosehip oil, carrot seed oil and an essential oil blend to create a face balm that is excellent for mature skin. The best part is a little goes a long way. The tallow absorbs quickly leaving skin supple and supple. It contains an abundance of naturally occurring fat soluble vitamins (A,D,K and E), Omega 3 fatty acids, and anti-inflammatory acid that promote healthy skin. Rosehip oil is high in vitamin E, vitamin A and essential fatty acids which promotes collagen and elastin levels to increase and assists with cell regeneration. Rosehip oil is superb at treating wrinkles, stretch marks and eczema. Directions: apply as needed morning and night to clean face.